Atlas SN Leasing is dedicated to pairing truck drivers with the perfect equipment for nationwide and local deliveries. We have over 1,100 units in our growing fleet that more than 400 carriers across the United States and Canada rely on to run their business. No matter what your current situation or future needs may be, Atlas SN Leasing is here to provide you with the right solutions for your business. We apply our tools and expertise to benefit you and your customers by providing exceptional customer service and consistent capacity. We specialize in long-term and month-to-month agreements for dry vans, step decks, and flatbeds. With over 1,100 dry vans in our fleet and new ones constantly arriving, we have all the latest and greatest equipment to meet your transportation needs. We work with over 400 customers nationwide, getting them the right trailer for their operation. This helps make us one of the premier trailer leasing companies in Chicago. 53’ dry van with swing doors, PSI system, Bulitex roof, side skirts, vent, 16” logistics posts. Along with dry vans, we have a full fleet of step deck and flatbed trailers for all of your specialized freight. All of our trailers are California and Canada approved, ensuring you can travel where you please. Our unique month to month leasing offers customers flexibility and competitive rates. Our customers take advantage of our month to month lease for optimal peak periods, substitution for out of service vehicles and protection against market uncertainty. 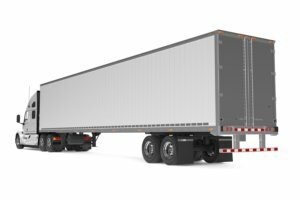 Upon pickup, a leasing coordinator will do a physical inspection of a trailer that includes measurement of tires and brakes. Tire depth is measured on 1/32 scale and noted on the report. Every 1/32 of tire tread used will result in $30 charge per tire. In case that customers replace tires and return them with more tread than what they originally took, they will be credited accordingly. Have you or your driver ever been turned away by a receiver or broker because the equipment was not up to par? Our fleet consists of Great Dane Trailers ranging from 2013 to 2019. Every trailer is spec’d to Atlas SN Leasing standards, ensuring you that you have the most proper and up-to-date equipment on the road. Many companies offer low rates but then add on mileage charge, which can become more expensive than the monthly invoice. With Atlas SN Leasing, drive as many miles as you want without worrying about added expenses. All equipment is USDOT inspected and passed before it is leased out. The brake charge is $10 for every 1/32 of brake wear. Equipment that is returned with non-USDOT complaint brakes will be automatically replaced with USDOT complaint equipment. As stated in the Atlas SN Leasing lease agreement, each carrier that leases the equipment is responsible for their own physical damage insurance. Insurance certificates must be provided prior to lease date and must be updated accordingly. 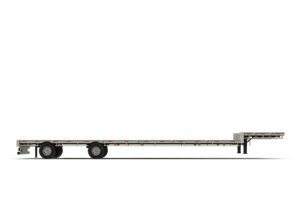 The versatile Champion Composite can be designed to fit the unique needs of any number of dry freight operations, while providing maximum cubic capacity, cargo protection and durability. Our new equipment ensures that you can stay on the road worry-free. If there is any physical damage to the equipment, our sister company Elk Grove Truck and Trailer Repair, the only Great Dane authorized service provider in the Chicagoland area, offers free estimates. The customer always has the option to repair the equipment at any other repair facility, as long as they repair it per the lease agreements. Depending on the length of your lease or the type of equipment you many need, Atlas SN Leasing has a variety of pricing options available.